Exclusive Doors is an Australian owned company that imports high quality European doors and architectural hardware. We supply specialised custom-made entry doors, garage doors, bespoke internal doors, unique hardware, laminates and decorative surfaces from top European manufacturers with an established presence in the most advanced and demanding markets around the world. Our extensive European experience, our specialisation in the object, the know-how and the modern equipment of our manufacturers, guarantee the quality of our product, the consistency in the process of ordering and delivering and the high aesthetic result of the finished product. OUR FOCUS A door that would be passed unnoticed can become an important element that characterises an environment in a personal way, a statement. It is in this context that the need for original, characteristic and customised doors and hardware was born. Individuality, materiality, creativity, functionality and reliability are the focus and the principles of our brand. Our allies are contemporary design imperatives and technological evolution. Our strength is the relationship with our customers and our suppliers. With a 30-year history of making quality furniture pieces, Coopers Store, owned by Vaughan Cooper since 2015, is focused on inspiring its customers through quality design and lasting style that evokes beauty, authenticity and imagination. With a design and building background from the age of 17 as well as studying Interior Architecture, Vaughan has a passion and drive to create beautiful, inspiring products. He has worked at Coopers Store for over 10 years in every aspect of the business, including establishing the in-house workshop to grow and develop the diverse product range Coopers Store now offers its customers. Vaughan launched Coopers Doors in recent years and the Doors Showroom has become a focal part of the business, frequently visited by builders and designers across Sydney, sourcing stunning doors that enhance the entrance of any home. In 2016, Vaughan focused on building on the existing range of quality, hardwood timber furniture products that the store is known for, as well as introducing some exciting new ranges that aimed to truly engage customers and take the business in a fresh new direction. 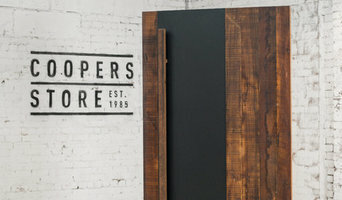 Founded in 1985, Coopers Store has a long-established reputation for creating beautiful, handcrafted furniture products that are made using both new and recycled hardwood timbers. Coopers Store is passionate about helping our clients to create their own beautiful, lasting experiences and environments in their own homes. Acacia Joinery is a family owned business, with over 30 years’ experience in the manufacture of timber joinery. Acacia Joinery strives to be the leading specialists in the manufacture and design of quality solid timber windows and doors for the high-end architectural market – both residential and commercial. Talbot Auto Doors specialise in automatic door and gate solutions for residential homes and business in Sydney. Residential Talbot Auto Doors provide a number of products and services suitable for residential customers, specialising in automatic doors and gates. Added Security Automatic doors and gates are becoming increasingly popular in Sydney homes as they are not only aesthetically pleasing, they also add security to your valued investment. Talbot auto doors offer a range of affordable automatic door and gate designs to suit your home.View some of our completed projects here. Added Value Adding automated systems to your home not only makes everyday life easier, but also acts as an investment for the future. Properties featuring automated systems increase street appeal and attract an upscale market should you wish to sell your home in the future. 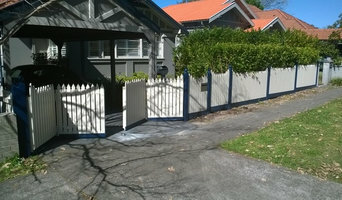 Privacy Adding a gate to your home improves privacy for you and your family. Talbot offers a wide range of gate styles and sizes, allowing you to optimise your privacy in the age of city living. Commercial We support building and strata managers, and provide a 24 hour repair service throughout Sydney. This ensures your building is secure at all times. We take pride in forming long term partnerships with our clients and we maintain them with our ethical and quality workmanship. Talbot Auto Doors has been servicing businesses in the Sydney Basin since 1985. This reinforces the trust that Sydney-siders have in our skill and ability. We always adhere to a strict OH&S policy and ensure safe work practices. Door Installation and Repairs in Sydney Our team have serviced and installed automatic sliding doors and gates onto many iconic buildings in beautiful Sydney, which has helped us to build a strong name for ourselves within a competitive industry. 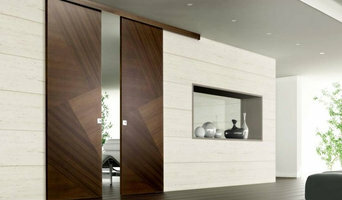 We supply and install our own proprietary range of sliding and swing doors that are affordable with proven reliability. Door Repairs We offer door, roller door and roller shutter repairs in Sydney. These repairs are prompt because of an excellent and efficient system that has been developed through the decades of collecting data on all the equipment that has been serviced. This unique system allows our technicians to tend to our huge demand of servicing (especially when there is so much equipment required) with the highest quality. Crown Doors is an Australian owned company that supplies solid timber doors and solid engineered doors used in entry and internal setups. • CUSTOMIZE ANY DESIGN • We can supply specialised custom-made doors used in entry, internal, and bi-fold setups. We even offer a vast range of customization for your dream door! Want a door that fits a peculiar size, or how about replacing each panel with different glazing? The choice is up to you! • YEARS OF EXPERIENCE • Started in 1999 with the introduction of the first Triple Glazed Brasslight Doors, we have been serving Australia for over 19 years! We strive to provide Australia with new and improved products for years to come. Our Houzz profile is currently work in progress. Come visit our website for more details and photos of our range of doors at <a rel="nofollow" target="_blank" href="https://www.crowndoors.com.au/">https://www.crowndoors.com.au/</a>. 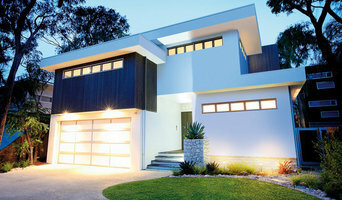 We are a door manufacture and supplier that delivers Australian wide . We are known for our aluminium and Alfresco doors. Family business since 1974. Based in Illawarra. We repair and service all types and brands of residential garage doors. We also supply and install automatic operator. 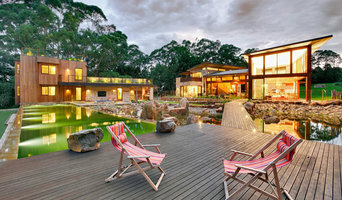 Find a Wollongong, New South Wales door professional on Houzz. Scroll through this page to find door professionals in your area. Look at project photos and read reviews to find out how homeowners rate their service, expertise and product.